I meant to write about this at the time but Christmas took over and I forgot. Sprouts are still in the shops should you wish to make this, and broccoli can be subbed in. 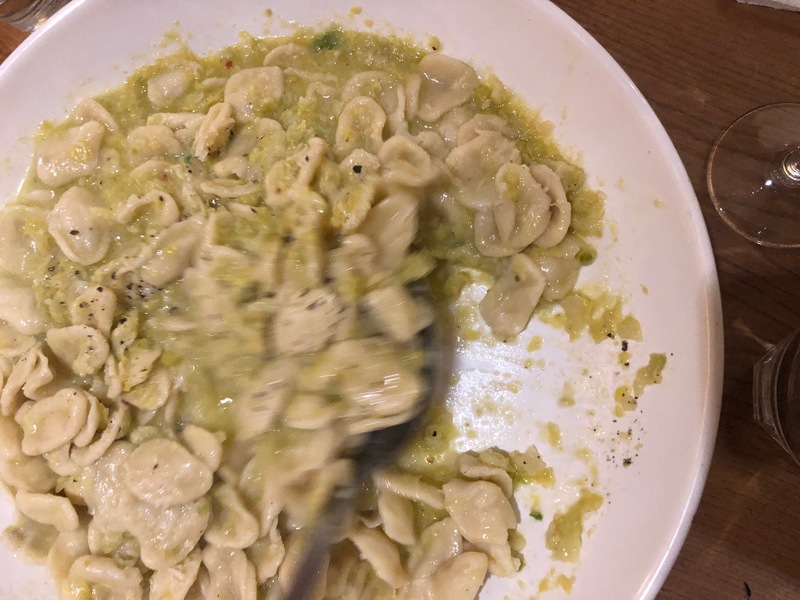 Orecchiette, the famous little ear shaped pasta, were surprisingly easy to make, and just needed pasta flour and water (look it up on YouTube). They are often available to buy already made from delis or high-end supermarkets, too . I thought, that as orecchiette are traditionally served with a brassica-based sauce of soft-boiled Italian broccoli, that I would try to make similar sauce with sprouts. It worked SO WELL! It was truly convincing. Add a generous amount of tasty olive oil (like 6 tablespoons) to a deep frying pan that can fit in all the pasta. Fry 3 cloves of garlic crushed wish salt with 1/2 teaspoon of chilli flakes. When its aromatic, add the sprouts and toss in the oil, take off the heat. Grate a good heap of parmesan. Cook the orecchiette (or other pasta) in salted boiling water until tender with a bit of bite left. When done, take out a cup of pasta water and set aside to use in the sauce, then drain the pasta. Add a few tablespoons of pasta the water to sprout sauce, shaking the pan to emulsify with the oil. Add the pasta to the pan with the sauce in and over the heat, toss the pan (carefully!) adding in more tablespoons of water and half of the parmesan, and keep shaking until it’s melted in and emulsified. Serve, with extra parmesan and chilli flakes to have on top if wanted.